LINCOLN, Neb. 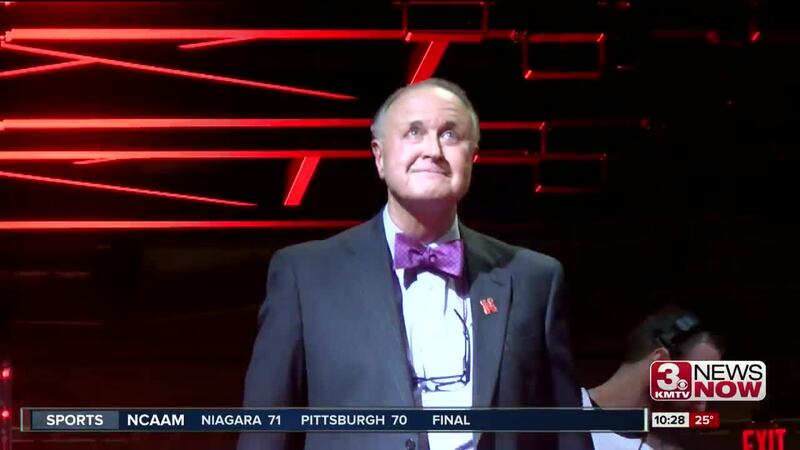 (KMTV) — Longtime Nebraska basketball radio play-by-play man Kent Pavelka hit a major milestone at Nebraska's game against Illinois. The win was Pavelka's 1,000th-game behind the mic at NU. He's been the voice for Huskers basketball games since 1974. "Kent Pavelka is an icon in my eyes," said Head Coach Tim Miles. "First of all not many people get to 1,000 games and for him to do it and he's great with the call and I'm happy that we could honor him and get a win on his 1,000th game."